Envision the world as a computer game in which your clothes are 3D projections and the GPS system tells you the position of an object. Imagine yourself as an avatar, flying through future cities and simulated landscapes. Now picture this virtual world in the real world. What will it look like then? Platform21 = Checking Reality invited to explore this world in the real world. With the art works in the Beatrixpark, films on the CASZuidas video screen, the latest experiments at Platform21, workshops, presentations and performances during Club Real evenings the programme offered a big variety. Our use of digital media heavily influences the way we experience, test and create reality. Virtual alternatives are often so convincing that they not only augment reality but seem to replace it. It’s as if ‘virtual seeing is believing’. Artists, architects and designers are increasingly taking inspiration from the many new virtual possibilities. Some of them were asked to create new work for the Beatrixpark, adjacent to Platform21, others presented themselves during the club evenings. 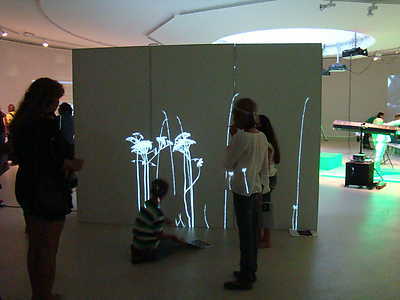 Platform21 = Checking Reality was an exploration into the possibilities and results of the encounter between first and second reality. A laboratory where the reality of virtuality was tested. In cooperation with Artvark (Tom Jaspers), Harry Kraaij from the Zuidas Virtual Museum and Zuideramstel district council. 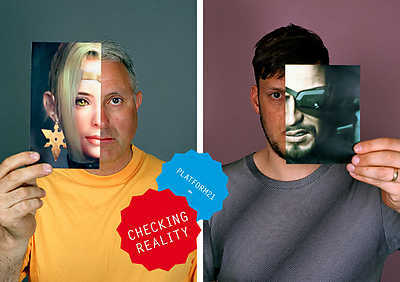 Platform21 = Checking Reality was made possible in part by the Prins Bernhard Cultuurfonds / the Ahrend Fonds, the VSBfonds, the Amsterdam Fund for the Arts; and ING. On how influences from the virtual world manifest themselves on the street. 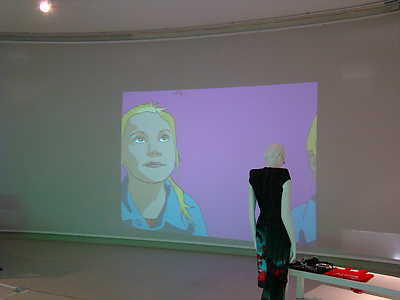 Scan yourself in 3D at Platform21! What about LARP at Sonsbeek2008? Meeting avatars, a Nike sneaker as a city, DIY 3D printing and music during this Club Real.